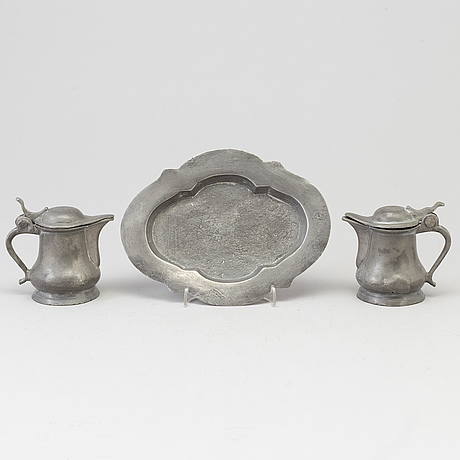 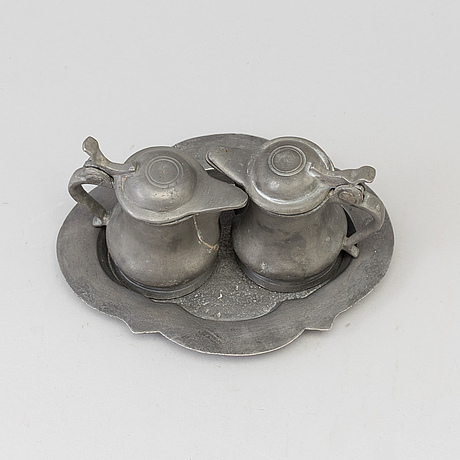 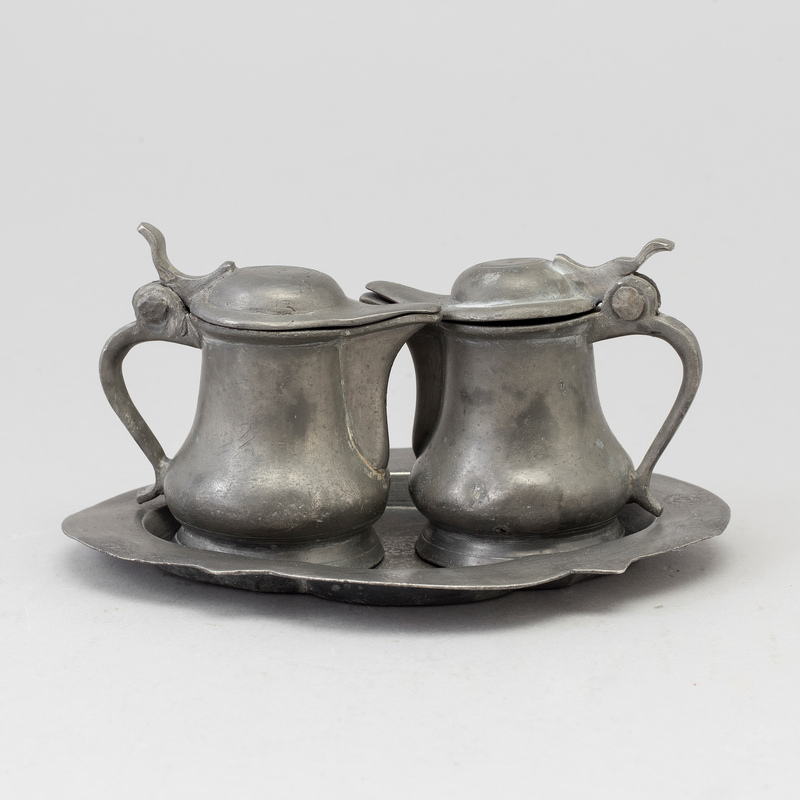 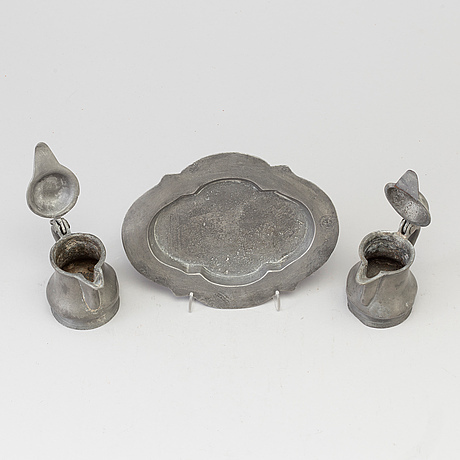 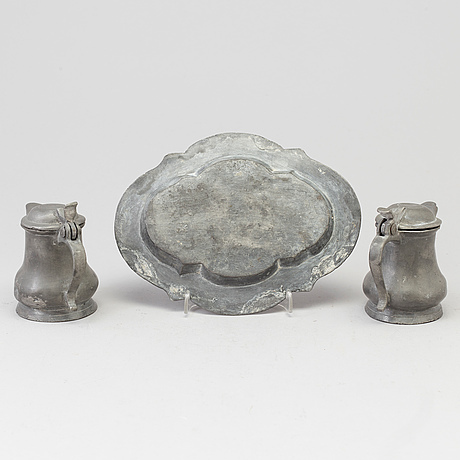 Two pewter jugs and a pewter plate, 18t century. Height 9 cm. 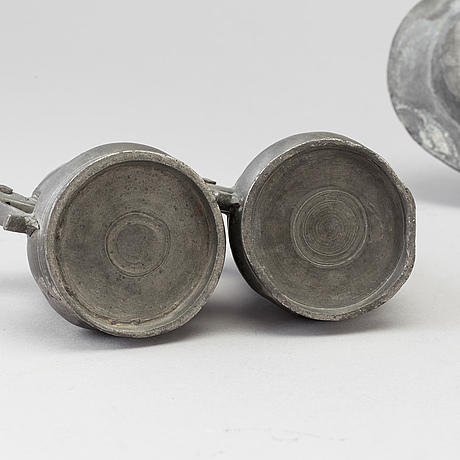 Length 19 cm.